Written by Artificial Turf Supply Commercial and Residential Division. Homeowners feel pride when they install a new synthetic lawn at their home. They know that they will be the talk of their neighborhood as everyone comments about how natural-looking their lawn is — especially when it looks great even in the heat of summer or the cold of winter. They also know that owning a synthetic grass lawn means less lawn care along with saving on expenses such as watering and lawn equipment. Placing a barbecue directly on the grass. It’s true that many types of artificial turf are designed to be flame retardant; this doesn’t mean that they can’t catch fire. If you place a grill directly top of your synthetic grass, there’s a chance that hot embers or coals could spark a fire. It’s better to place your portable grill on top of slabs to reduce the risk of fire. Parking a car on your lawn. While you might not have a place for your old car, putting it on your artificial turf lawn isn’t a great idea for several reasons. Older cars can leak oil and other chemicals that can seriously damage your synthetic lawn. In addition, the weight of the car on the lawn over a long period of time can permanently crush the turf and make it flat. Getting rid of unused pieces of artificial grass. Chances are that you will have some leftover turf after you are done installing your artificial lawn. Resist the urge to throw it away. Make sure you keep it in your garage; you never know when part of your lawn might be damaged and the extra pieces can make good replacements for damaged spots. Placing furniture with sharp feet on your lawn. Check your lawn furniture before you place it on your artificial turf lawn. Make sure the feet don’t have sharp edges or jagged bits. If they do, you can cut or puncture your lawn just by moving the furniture. Protect your lawn by smoothing off any sharp bits that are on the feet of your patio furniture. 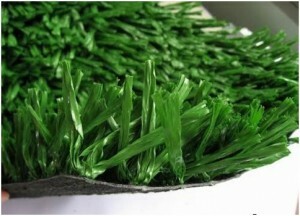 Artificial Turf Supply Commercial & Residential Division is the wholesale division of Artificial Turf Supply. Find a large selection of artificial grass options by visiting their website.